Once again, LVH member Giovanni Landi will be opening up his restaurant on Christmas Day, offering meals to shut-ins and those in need. 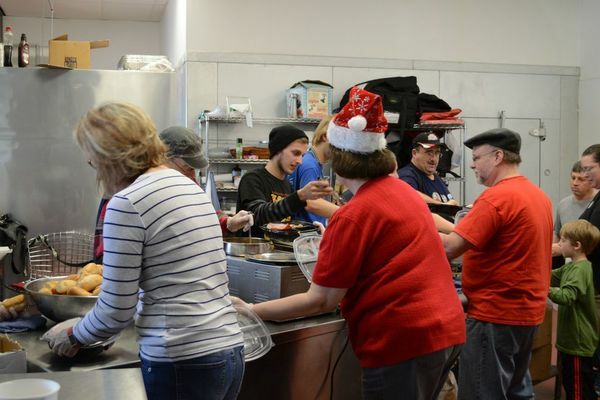 Considering that most of us will probably skipping church that morning, serving less fortunate members of our community is a wonderful way to get in the holiday spirit - secular humanist style! - To help with meal prep and serve in the restaurant, arrive by 11 a.m.
- To help sign up people for deliveries, print and post this sign up sheet at a public location such as a senior center or a housing complex. You *must* collect any sign up sheets you post and get them to Pies On by Sunday the 17th *and* be sure they confirm it as received. You can drop them off in person, fax them to 610-443-0686 (and call 610-264-7000 during business hours to confirm), or email them to piesonpizzeria@aol.com and ask for a reply to confirm. - You can also post this flyer to help recruit volunteers and allow people to call in on their own to reserve a delivery right up through Christmas Eve. Stay all day, or help out for a little while - every extra hand counts!